The official Music Educators to Follow on Twitter (a Twitter Music PLN) has been updated. It has been a number of months since this list has been updated at MusTech.net and the release of new Music Education Tweeters to Follow List will be welcome and refreshing for many. Unfortunately, TweepML (the easy to follow Twitter list site) is down until February so it cannot be updated at the moment. The Twitter Music Education List will be updated there as soon as we are able to gain access again. The official Music Education Twitter list is now up to 75 and it has also been re-checked and verified to make sure that all people listed are currently valid and active Music Education Tweeters. 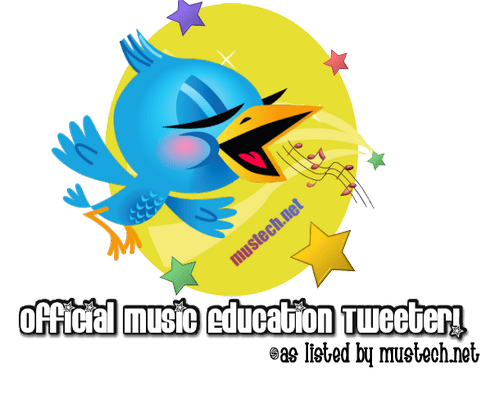 The Twitter Music Education list, along with sites like the MusicPLN.org, are very important aspects of the online Music Education Community and vital for keeping valid, interesting, and related information about Music Education and Music Advocacy propagating on the Internet. If you are a Music Educator or interested in Music Education and Music Advocacy issues, please follow this list and join our Web 2.0 Music Education Community today. Please Re-Tweet This Post and the list!